Venus has an unusual orbit, so this alignment will not happen again until 2117. 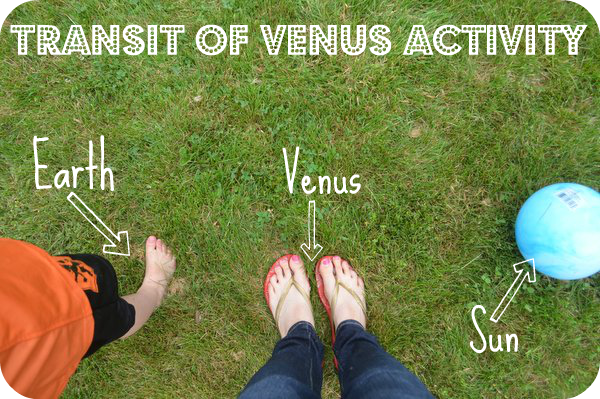 The transit of Venus has helped us understand the size of the solar system and the composition of Venus. I found NASA and National Geographic both had helpful websites on this. 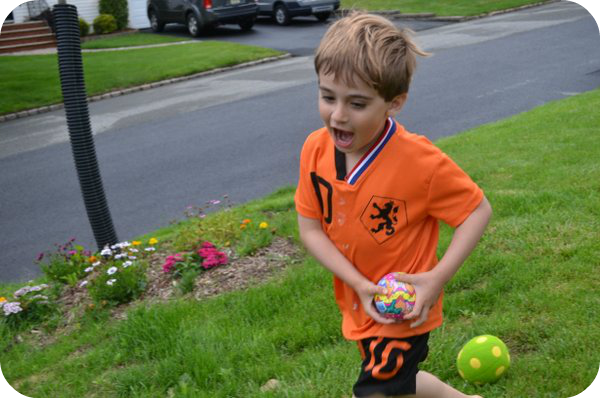 To show my son what this was all about, we grabbed a bunch of balls and headed outside. My 10 month old sat in the middle, holding the “Sun” ball. We put the smallest ball next to him, to represent Mercury. I explained that Mercury was also moving, but for now, we were going to put it down on the lawn. Then we took two slightly bigger balls, about the same size as each other, to represent Earth and Venus. Then we circled the “sun”, noting when we overlapped. My 4 year old also spent a lot of time lining up the planets, and acting out their orbit. We eventually had to have my baby become an asteroid, because he started crawling all over, making it hard to orbit him! I explained that the orbits of the planets are not really lined up the way we were acting them out, because some orbits are tilted. I also tried to demonstrate this using the balls, but I think that may have been one step too far for now.